The RYA Ocean Yachtmaster theory course is for those who have a passion for sailing and navigation. It is a wonderful course that will keep you occupied for hours on end. It is not just about finding position from stars and planets, it covers weather, passage planning, watch keeping and much more. The course covers the traditional methods of ocean navigation and helps you to develop skills that you will enjoy throughout your sailing. Due the widespread use of GPS for navigation at sea these days, more and more sailors are heading out to cross the world’s oceans. Even the most reliable systems require a back up and I don’t mean only a spare GPS unit. 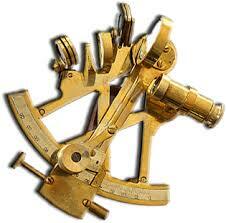 A knowledge of astro navigation is an essential skill for those heading off to cross oceans. The RYA Yachtmaster Ocean theory course will teach you the mysteries of celestial navigation, global weather, vessel preparation and communications for ‘blue water’ voyaging. This course is a prerequisite for the Yachtmaster Ocean exam and participants require a thorough understanding of the RYA Yachtmaster Offshore shore based course before beginning the Ocean course. Pre-course requirements: The Ocean Yachtmaster theory course requires Coastal / Yachtmaster theory course level theory. Even with lots of sailing experience it would be difficult to complete this course without any formal theory training. Apart from a thorough knowledge of position fixing and plotting the course requires a good understanding of latitude and longitude. This course is delivered in conjunction with Navathome. The ocean instructor is Vic Punch. Vic is available online to provide personal support and help you through the course. You can book your course on line and be working straight away on the sections where the RYA pack is not needed. Your RYA pack, containing your combined almanac and questions will be posted express post the same day. The lessons are designed to not only give you the ability to take astro sights but also to understand what you are doing and why. The course is fantastic value for money when taking into account the quality of the courses, the feedback we give and the friendly repartee we build up with our students. We will spend whatever time is needed to make sure that you achieve your aims. On line exam in your own home. Must be invigilated if the certificate is to be used commercially. Instant feedback on your submitted answers followed by personal feedback from your RYA instructor. Flexibility in being able to access your course anywhere at anytime on any computer. Animated lessons and answers that take you step by step through every stage.